 Bundlehunt Pay What You Want Bundle starting at $6 only! MUST SEE! Here comes a new bundle from Bundlehunt. After publishing the New Year Mac Bundle in late january, Bundlehunt just launched its new Pay What You Want bundle. 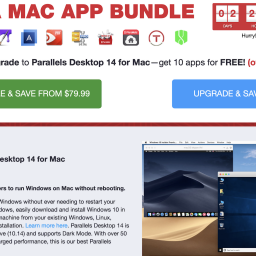 The Mac app bundle starts with a basic price of $5 and at least 1 app for $1. So you can get one app at a starting price of $6. In case you want to buy more apps, you can just add additional software for only $1 to $5 per app. So as a result of this, your bundle can consist of one or a fews or up to 30 apps, whatever you prefer. There is also the opportunity to buy additional licenses of the same product, in case you need more than one. The bundle comes with a couple of highlight apps. 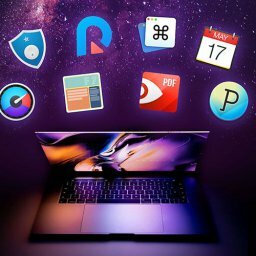 Our team likes the most the following apps: Crossover, PDF Expert, Tri-BACKUP, Default Folder X, Future.dj Pro, Data Recovery, Intensify CK and Intego ContentBarrier X9. Depending on the apps you choose, you can save hundreds of dollars. 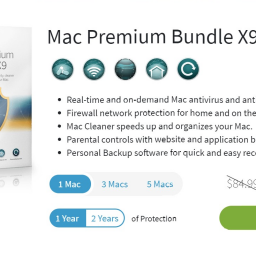 Some of the highlight apps alone justify the bundle price. We expect the bundle to be available until the end of may. Again, Bundlehunt has build up a very interesting bundle. As you can select only the apps you want, you can be sure to save many dollars. With prices starting at $6 only, you can make your personal bargain. So check the bundle out. The Award winning PDF Expert; Fast, robust and beautiful PDF editor. Run Windows Applications on your Mac Without even rebooting. An iPhone file manager that makes iOS sync and iTunes cleaning at a glance. A new level of mixing perfection! Packed with the latest professional DJ features. Find back all your lost data from Mac and various external disk easily. Boost details and add drama. Make your photos stand out. A download manager with unique system of sorting and keeping the downloaded content. Simple, state of the art encryption and plausible deniability for your data. Create beautiful high-dynamic-range (HDR) images from a set of exposures. The easiest way to create a gorgeous slideshow on your Mac using your photos, videos, music and text. So Crossover is up to version 17.5, and is supported by the current version of the OS. You say we get the latest version, does this mean that version 17.5 is included? Thanks for your question. We contacted our partners at Bundlehunt and will post the version here as soon as we get feedback! Yeah it does, because with the next version of the OS, their 32-bit version would no longer work, and that new OS will be announced next month. In general be wary of 32-but applications because they are about to become obsolete!